Irish-owned Designist on South Great Georges Street, Ireland’s original and leading design-led gift and homeware store, have been scouring the country and the globe to find the most remarkable gifts & bright ideas for its Christmas Collection for 2017. As ever the emphasis is on beautiful design, affordability and functionality. 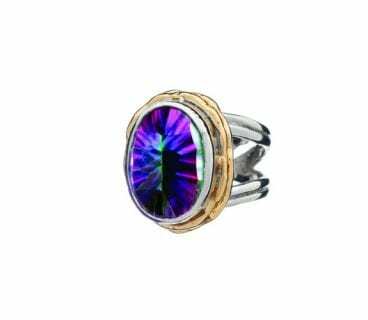 All pieces in the collection can be purchased online at shop.designist.ie and will be delivered within 48 hours. 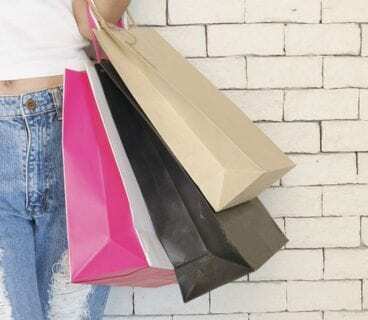 The collection can also be purchased at their store on South Great George’s Street, Dublin 2. 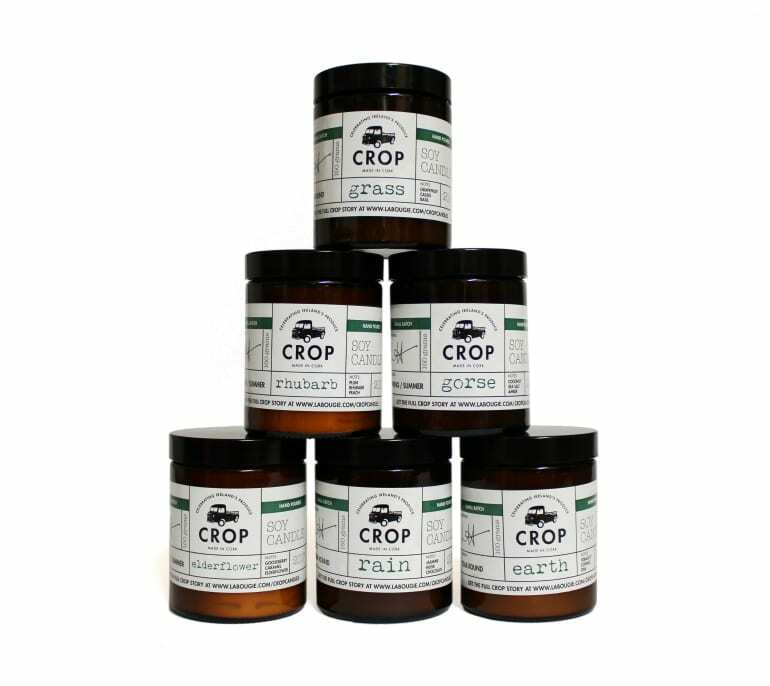 • Crop Candles, a range of soy candles made in Co. Cork which are inspired by the best of Irish produce. With six scents to choose from, there is something to appeal to every candle connoisseur this Christmas. The candle scents are developed by renowned perfumer Lucy Hagerty of La Bougie. Well priced with scents from Earth (notes of tobacco, cognac and oak) to Rain (notes of jasmine, musk and chocolate), these are the must have candles of the season. Special Christmas fragrances will include, Douglas Fir, Sloe and Seaweed. • Tayto Tea Towel, need we say more! 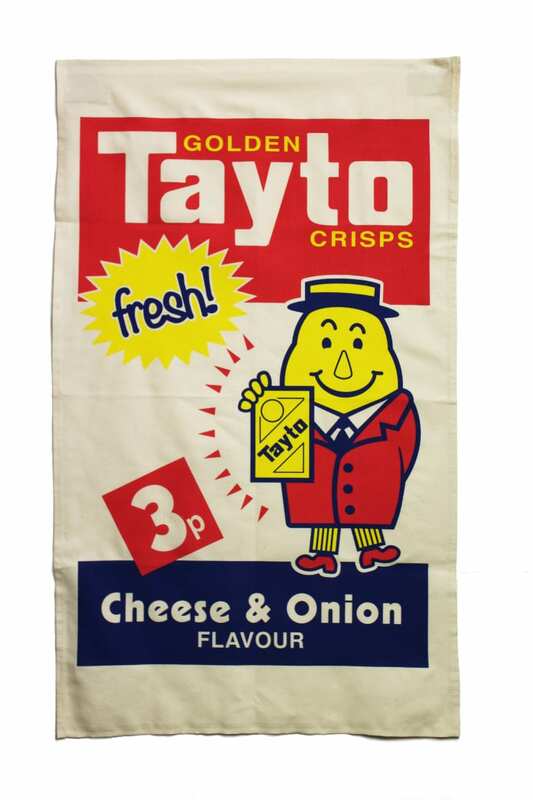 This screen printed tea towel is based on the original 1980s Tayto crisp packet design, when a packet of crisps were a mere 3p, made by Grand Grand, aka Fergus O’Neill. 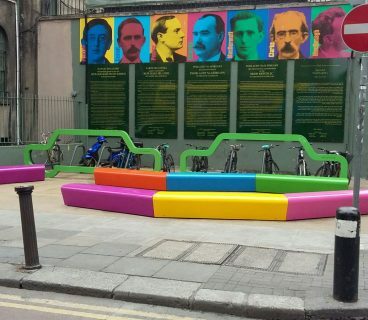 Fergus is an internationally celebrated designer who has won the nation’s hearts and minds with his fun and thought provoking designs which proudly raise a glass to all that makes Ireland great. 100% high quality cotton printed in Dublin, this is the ultimate Chris Kindle gift for 2017. 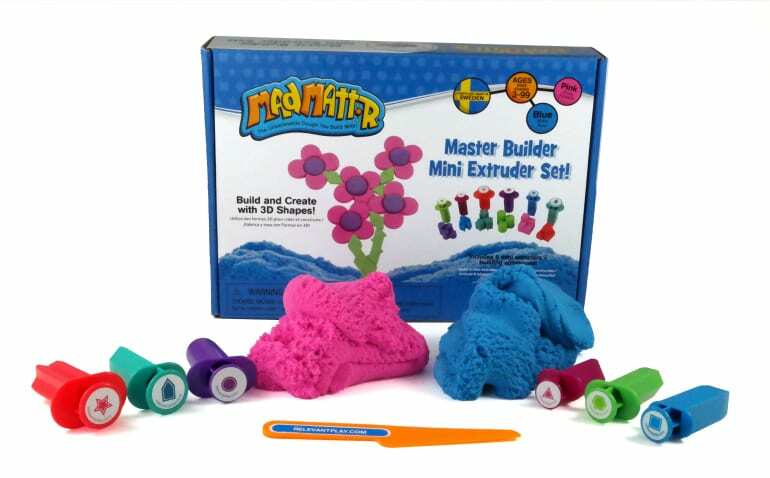 • Mad Mattr is the absolute must mess-free gift for children who like tactile play time. This weird and wonderful material has to be felt to be believed. Like a mix of play sand and play dough; a malleable blob that keeps hands busy as you stretch it, pack it, knead it, and watch it flow. The play clay transforms to a light, airy handful of fluff that’s like massaging a cloud. Once you’ve stretched it to its breaking point, smush it back together and start all over again. Wheat, gluten and casein free, suitable for kids age 3+. • Plan Toys is an eco-friendly toy manufacturer from the south of Thailand. 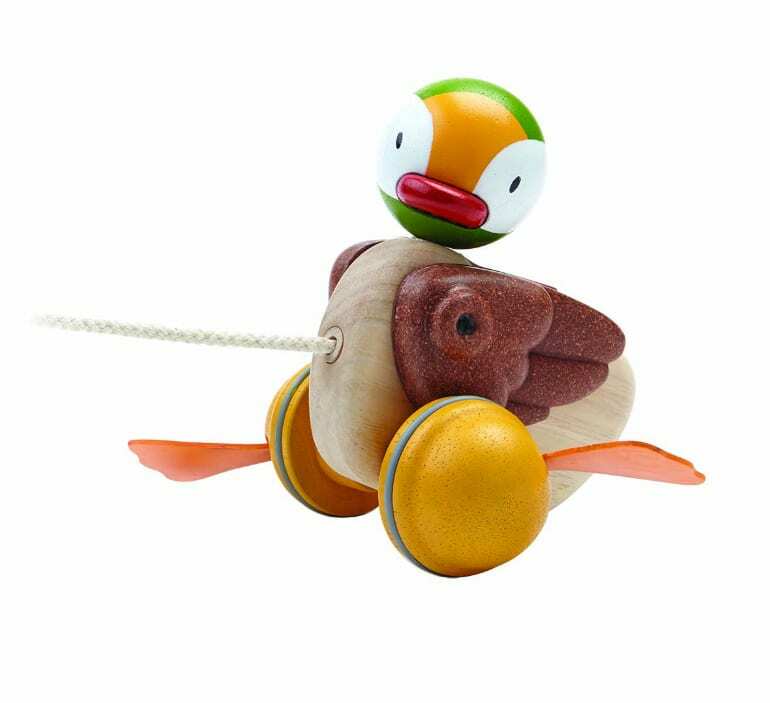 Founded in 1981, they make toys from rubberwood, a sustainable by-product of the latex industry’s harvesting of trees used for natural rubber production. Using the trees as a resource in this way is environmentally responsible. Plan Toys uses preservative-free rubberwood and non-formaldehyde glues, as well as recyclable packaging and water-based inks to create beautiful and interactive product for imaginative kids. Little hands love getting to grips with Plan Toys which are about as eco, sustainable and high quality as toys can be. • The Bullet Journal craze has really taken off this year, with more people finding amazing benefits in using pen and paper to organise themselves. 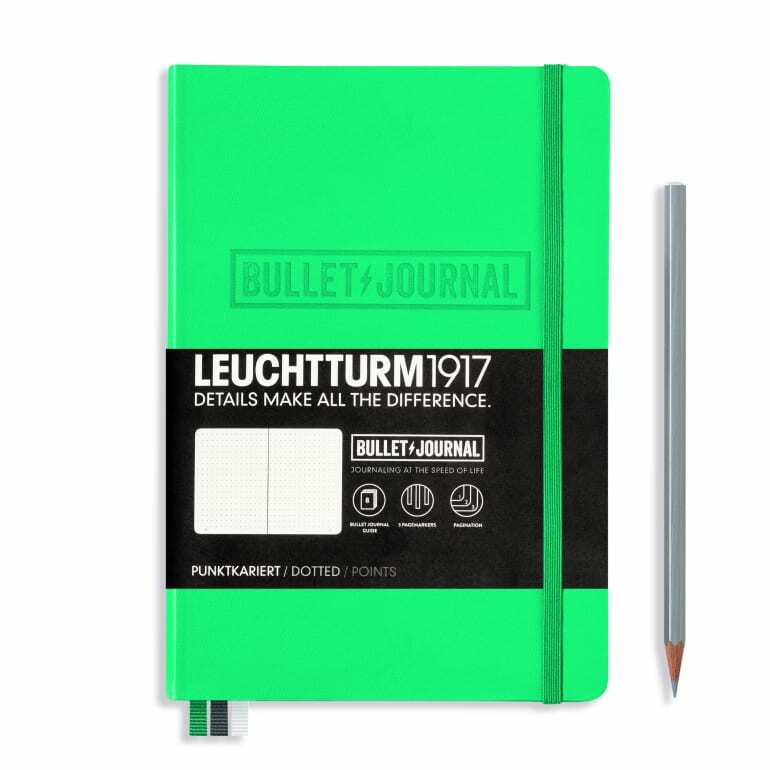 This branded Bullet Journal notebook from the German maestros of journals and diaries, Leuchtturm1917, produced in collaboration with Ryder Carroll, the inventor of the Bullet Journal system is a must have. Bullet Journaling helps one organise the present, record the past and plan for the future. This bespoke notebook comes with 3 ribbon page markers, page numbers and a Bullet Journal Guide, so you can get the most from your new noting system. It’s a brilliant gift for someone’s first Bullet Journal, or if you want to introduce someone to the system. Designist stock a variety of notebooks from ones to suit first time Bullet Journallers to those more advanced. • The Eden Suction Planter by Okidome is a new concept in indoor gardening; a plant pot that attaches to windows, tiles and the fridge. So your indoor plants can be strategically placed to get the best light and to be displayed to showcase them best. 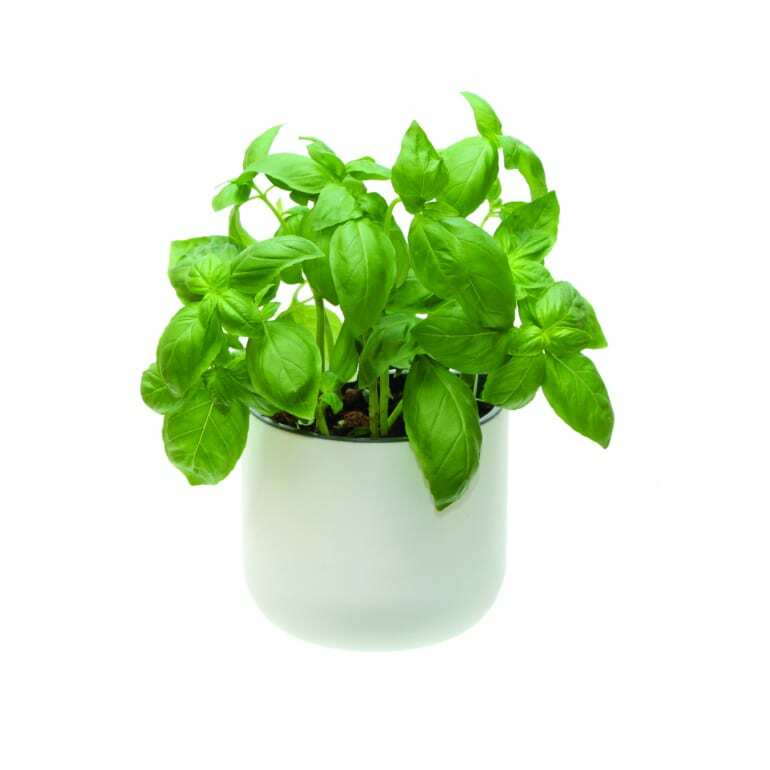 Ideal for herbs in the kitchen, they are easy to install and easy to remove. They come with a secure and powerful suction (the Oki-Lock system), which will allow the plant pot hold up to 5KGs in weight! It also incorporates a water reservoir system. This is the perfect gift for garden lovers with a lack of outdoor space or culinary kitchen geniuses who want to grow their own herbs. • This Whiskey Glass and Drink Stone Gift Set is the perfect gift for those who enjoy the finer things in life. This gift set comes with two rocking whiskey glasses and two drink stones in a decorated gift box with ribbon inside, perfect for easy, stress-free gifting. The clever rocking whiskey glasses from Sagaform are both functional and full of character. When placed on a flat surface and given a gentle tap the glass will spin on its central cone, simulating the rotational movement you would make with your hand while holding an ordinary whiskey glass, stirring up and stimulating the flavour and aroma of the whiskey. 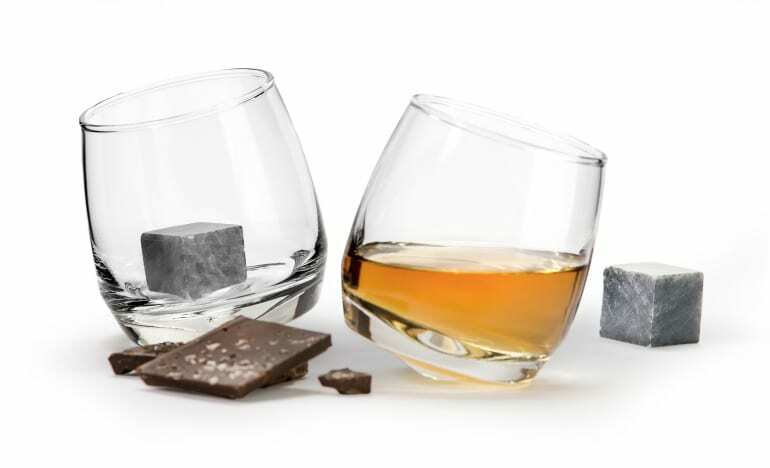 The drink stones are also ideal for whiskey connoisseurs and design enthusiasts alike. They ensure that your favourite tipple remains perfectly chilled and completely undiluted. The stones are made from recycled granite, and as such have a beautifully descriptive grain and colour running through them. Unlike ice cubes, the drink stones won’t dissolve into your drink, so the full flavour is retained, but from the freezer they will chill any drink right away. • The Bedside Pocket is the perfect gift for those who are sick of having a cluttered mess of books, chargers, glasses, phone on their bedside locker. A very handy bedside pocket to store all the things you need right beside you while you sleep, except this way they are kept neat and tidy and out of sight. 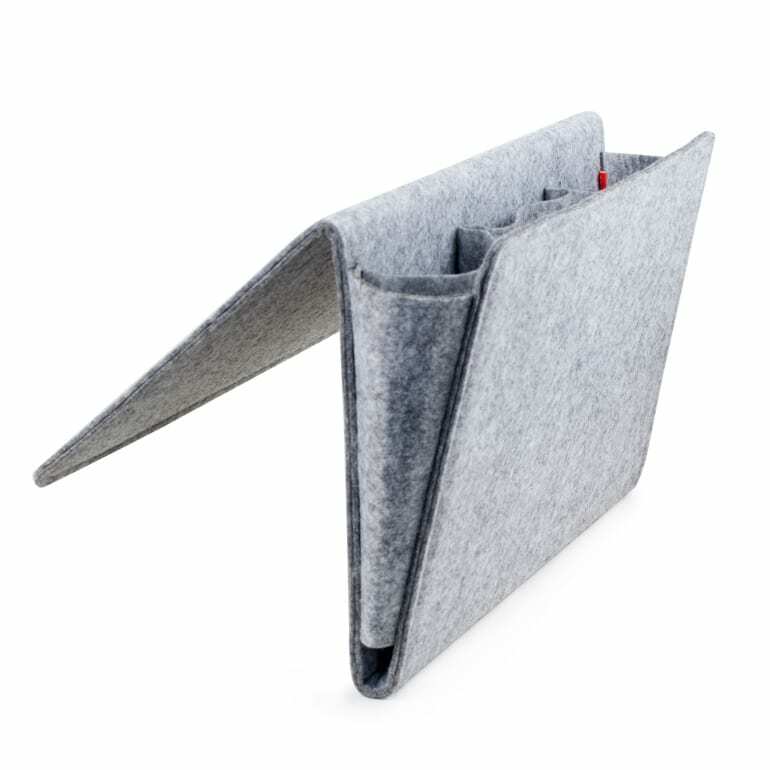 Made from felt, the pocket has a flap that fits under your mattress to keep it secure. What’s more there are special gaps in the seams so you can have your phone or iPad charger attached. An amazing gift for people who want (or need!) to get organised. For Christmas 2017 Designist have stocked the perfect stocking fillers for crafty / DIY aficionados from Sugru, the modern wonder clay that is perfect for re-modelling, mending and personalising your belongings. 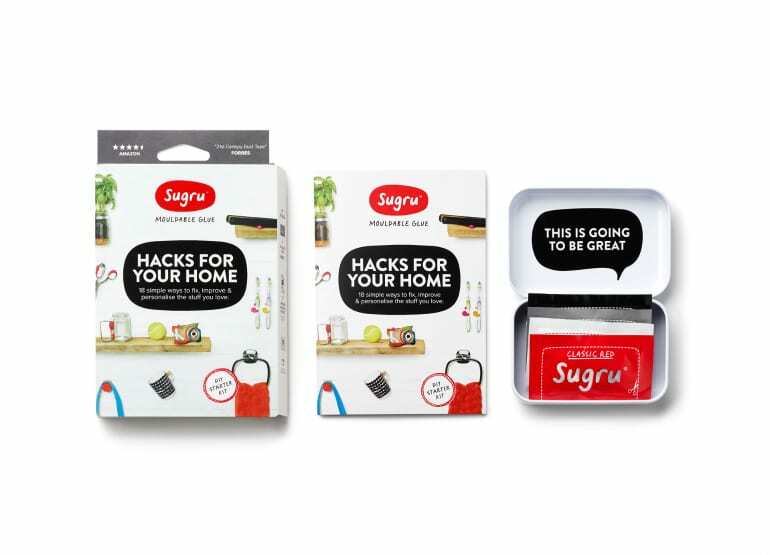 These (life) Hack Kits from Sugru make for perfect stocking fillers this Christmas as there is one to suit every home hobbyist. • Rebel Tech Kit gives you 14 brilliant ways to fix, hack & improve gadgets you love. The pack contains 4 x single use sachets of Sugru (1 x red, black, grey and white), a booklet filled with images and ideas for 14 great tech hack projects, a tin to keep your Sugru in, and a Sugru remover (in case you change your mind). 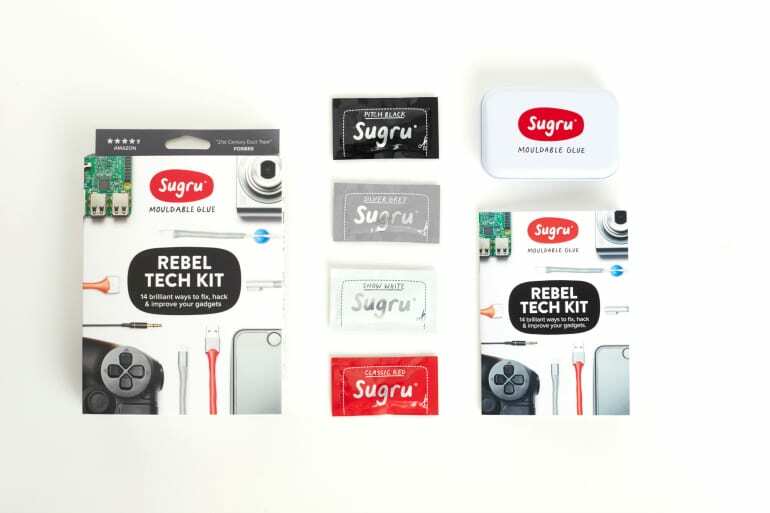 The rebel tech kit makes a great gift for anyone into gadgets, techie things, or bright ideas. • Hacks for your Home Kit is a collection of 18 genius ideas inspired by people from all over the world. It combines some of the most popular and useful Sugru hacks for your home, complete with step-by-step instructions in a handy booklet. Buy it for yourself or as a gift for the most deserving hands-on person in your life. The pack contains 4 x single use sachets of Sugru (1 x red, black, grey and white), a booklet filled with images and ideas and a Sugru storage tin. • From personalising your tools up to creating your own stamps, this new Sugru Create and Craft Kit gives a creative approach to craft projects. Organise your workspace, customise your tools, create beautiful repairs…explore all sorts of handcrafted treasures with this Sugru kit. Discover new techniques to fix, craft, emboss, texturise, design and upcycle. The pack contains 4 x single use sachets of Sugru (1 x red, black, grey and white), a booklet filled with 16 unique ideas and how-to guides to stamp, upcycle and personalise your things, 2 tools for texturising your Sugru creations and a handy tin for easy storage. For all things Christmas gifts, make sure to shop in #DublinTown where you’ll find the best variety! Check out www.DublinAtChristmas.ie for information on everything Christmas in Dublin!